Preserving history one sale at a time, one day at a time. 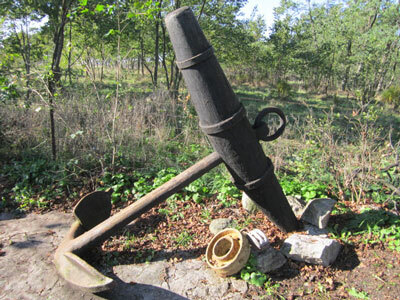 Yankee Trader Relics ships insured free, to any destination within the United States. Yankee Trader Relics will be unavailable to take phone calls, emails, or place orders from 11 April 2019 through 21 April 2019. Normal business operations will resume on 22 April 2019. Thank you and have a great day! Some of my favorite quotes from our founding fathers! "Of all the animosities which have existed among mankind, those which are caused by difference of sentiments in religion appear to be the most inveterate and distressing, and ought most to be deprecated. I was in hopes that the enlightened and liberal policy, which has marked the present age, would at least have reconciled Christians of every denomination so far that we should never again see the religious disputes carried to such a pitch as to endanger the peace of society." "We must not let our rulers load us with perpetual debt. We must make our election between economy and liberty or profusion and servitude. If we run into such debt, as that we must be taxed in our meat and in our drink, in our necessaries and our comforts, in our labors and our amusements, for our calling and our creeds...we will have no time to think, no means of calling our miss-managers to account but be glad to obtain subsistence by hiring ourselves to rivet their chains on the necks of our fellow-sufferers. And this is the tendency of all human governments. A departure from principle in one instance becomes a precedent till the bulk of society is reduced to be mere automatons of misery. And the foreshores of this frightful team is public debt. Taxation follows that, and in its train wretchedness and oppression." "Born in other countries, yet believing you could be happy in this, our laws acknowledge, as they should do, your right to join us in society, conforming, as I doubt not you will do, to our established rules." "He who permits himself to tell a lie once, finds it much easier to do it a second and a third time, till at length it becomes habitual; he tells lies without attending to it, and truths without the world believing him."